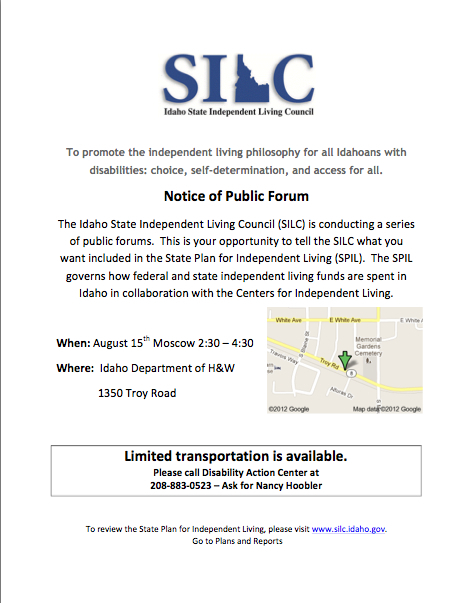 The Idaho State Independent Living Council (SILC) is conducting a series of public forums. This is your opportunity to tell the SILC what you want included in the State Plan for Independent Living (SPIL). The SPIL governs how federal and state independent living funds are spent. 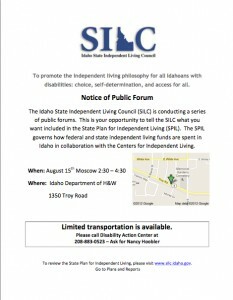 To review the State Plan for Independent Living, please visit www.silc.idaho.gov.